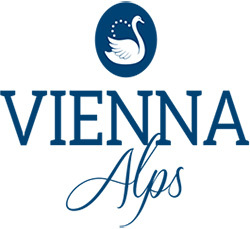 The Alps stretch all the way from Vienna along Austria, northern Italy, southern Germany towards Switzerland. This pristine landscape is home to some of the best climates in Europe, the cleanest water, and the purest air. The Alps offer the best possibility to grow natural produce in a pure, organic way. That is why e.g. Austria has the highest density of organic farming worldwide. Most of the farms are family owned and situated in alpine areas. Perfect conditions for pure, natural and safe products! All juices (fruit and vegetable) are sourced from small local producers and bottled at one point to guarantee consistent best quality. We blend different charges to balance and maintain taste profiles, just like they do for high-quality Champagne. 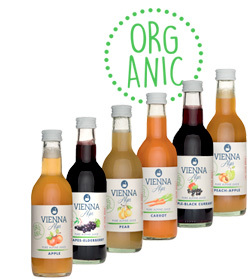 All juices are sourced from 100% certified organic produce. Before bottling, the juices are flash pasteurised to guarantee long shelf life. No sugar is added - all sweetness comes directly from the fruit. No concentrate used, no additives: just 100% pure juice.